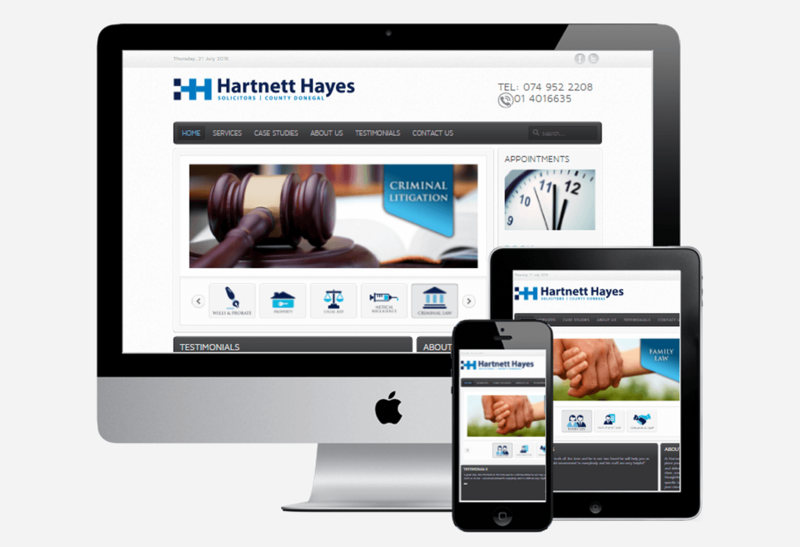 Hartnett Hayes solicitor Dublin and Donegal, a busy practice with a great customer base. This website was intrinsically to reflect the quality of the practice and its style, as well as being informative. The challenges here were to create a site that did not scare people away with too much information.